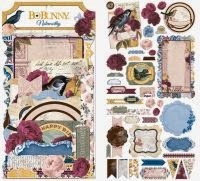 Bo Bunny Rose Cafe' Collection has some amazing embellishments which include Layered Chipboard Stickers and Buttons, Noteworthy Die Cuts, a Film Strip Sticker, and Ephemera. 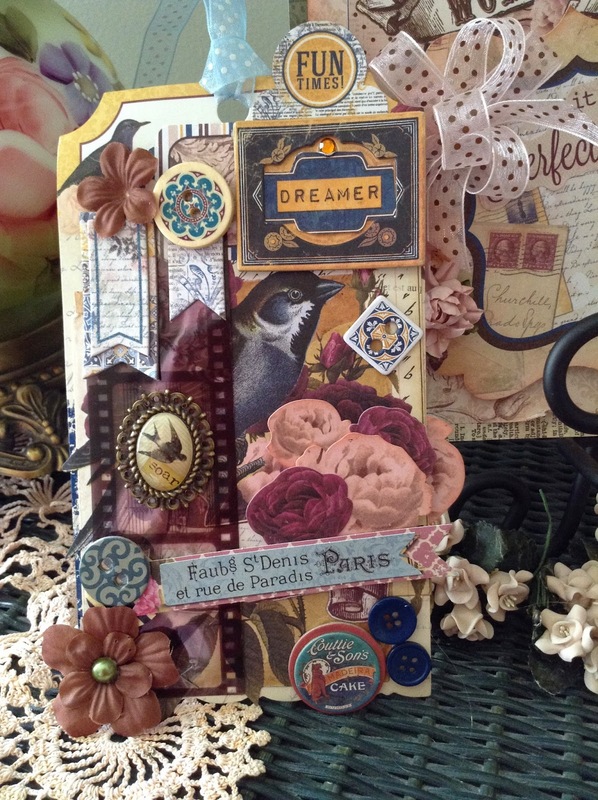 Today I am featuring a tag made with these products. It's easy, fun and so pretty! The Rose Cafe Embellishments were thoughtfully arranged to create this cute little tag! I even used the packaging! To make this tag all you will need are pop dots, some glue and a stapler! Links to the products used can be found at the end of this post. 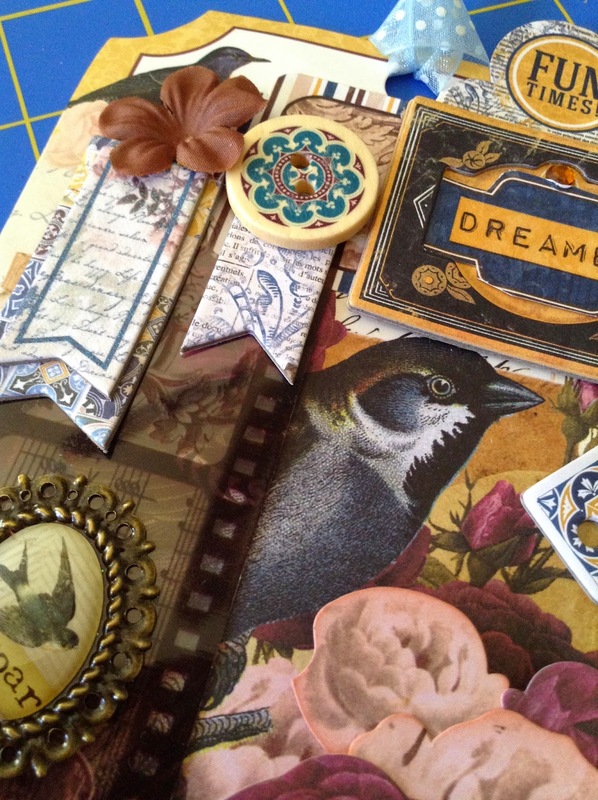 Open up all your embellishment packs, and set aside the packaging. The packaging becomes the "tags" we will use for our project! When you lay everything out, you can see how many wonderful choices you have! There are dozens from which to choose! I selected the above embellishments for my tag. Take out the pieces and lay them on the table next to your work area. Select the larger tag. It is the packaging from the Layered Chipboard. 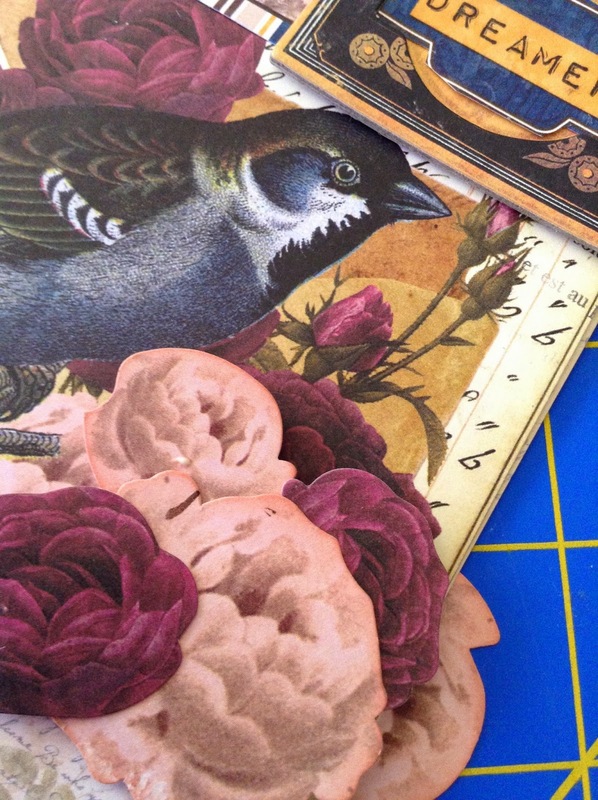 Starting in the upper-right corner, add the die cut and layered chip board elements. 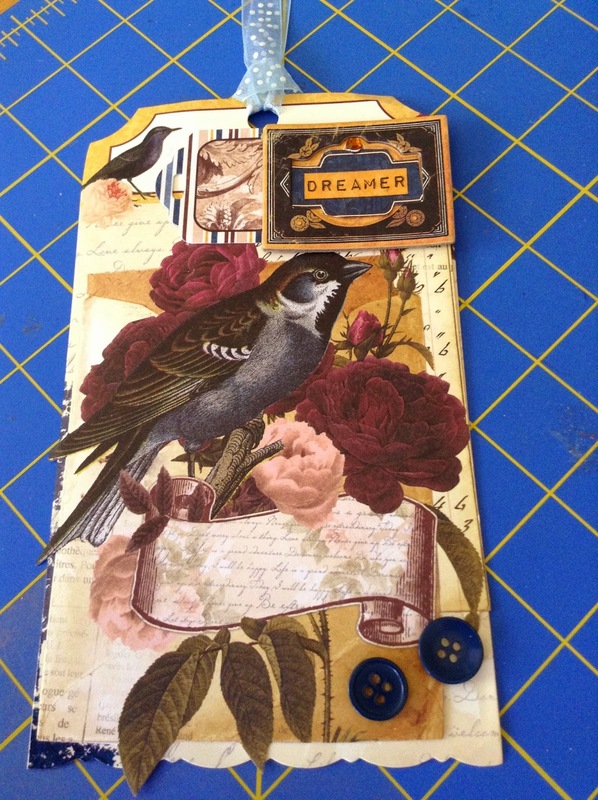 Here, I cut out the word "Dreamer" from a die cut banner and inserted it inside of the chipboard piece. Add buttons to the bottom-right of the tag, and tie a ribbon through the hole at the top. 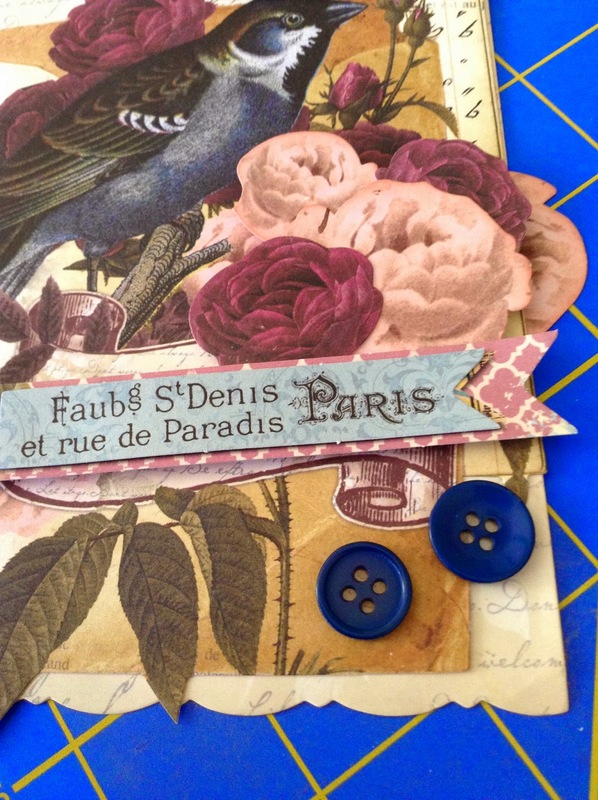 Using the rose die cuts, embellish the flower image with more roses. I used pop-dots to add dimension. Place the "Paris" banner over the top of the pink banner and adhere them to each other. 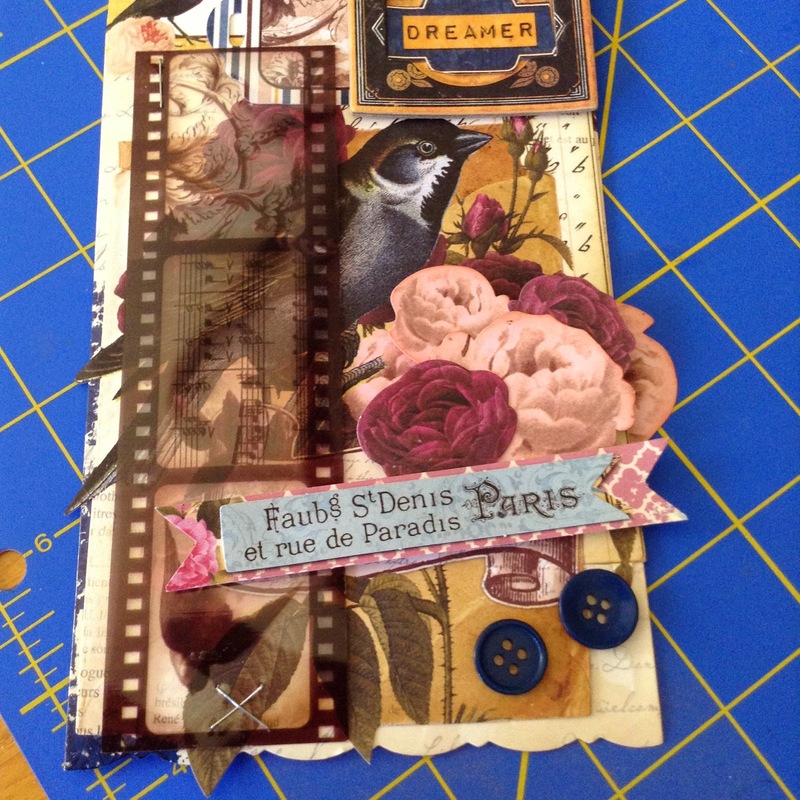 Staple the Film Strip to the tag, then adhere the Paris banner to the tag. I made a criss-cross pattern with the stapler to add interest. 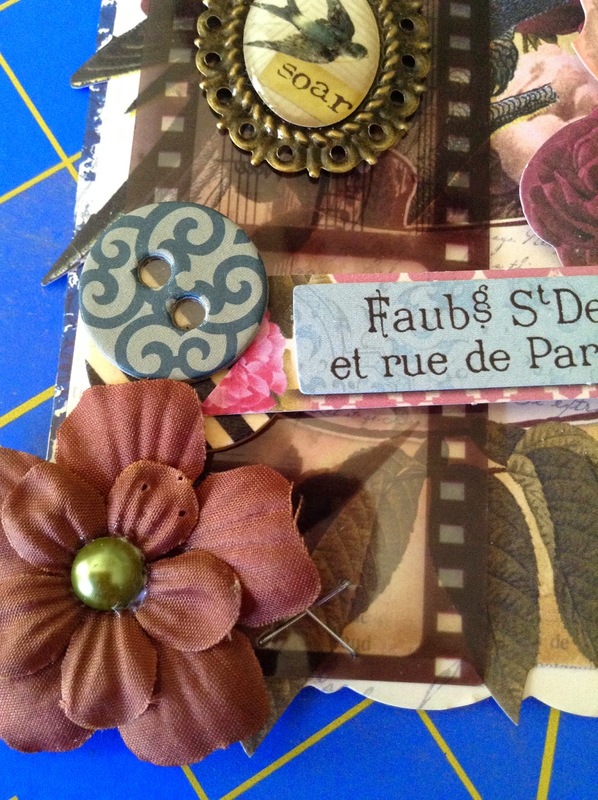 Continue adding embellishments to your tag. 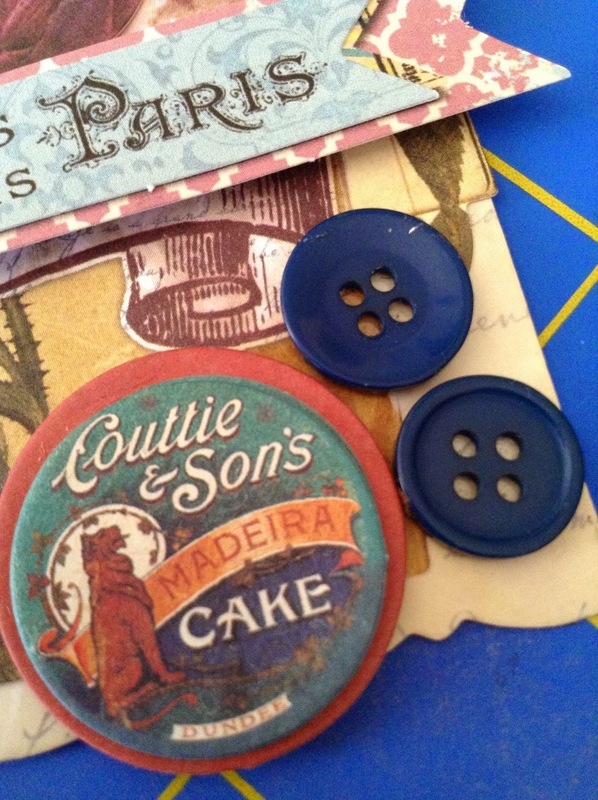 Here I have added a chipboard token next to the blue buttons. 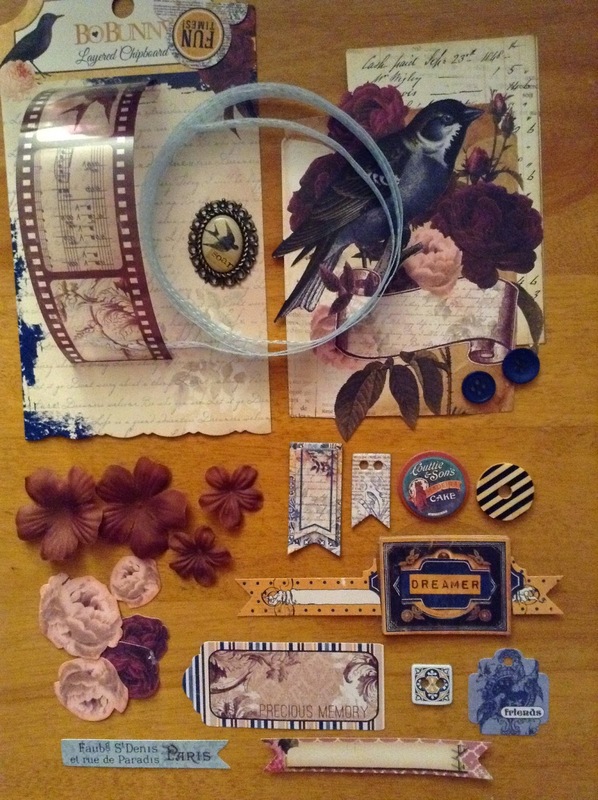 In the upper-left section, add two chipboard banners and place a flower and button as shown. 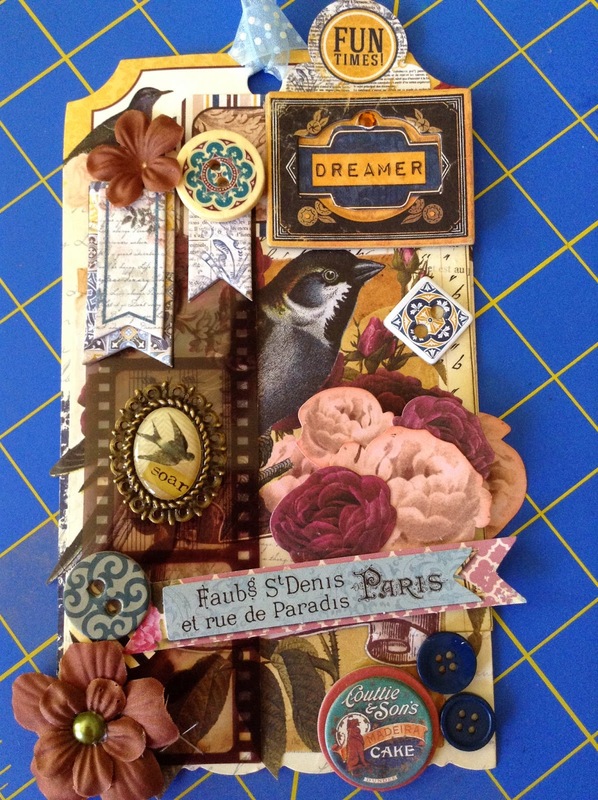 Adhere the "Fun Times" die cut above the Dreamer chipboard piece. Add the rest of the pieces as shown and you are finished! Isn't it pretty? I love all the colors and the dimension! The embellishments can be found on the FotoBella website by clicking the link below each product. Hope you enjoyed this fun project! Please leave me a comment and photo showing me YOUR Rose Cafe' Tag! Thank you Sarah! This was such a great paper line, and the embellies are so pretty, it wasn't hard to come up with beautiful projects! Thank you Patty! There are so many embellies from which to choose in this collection!